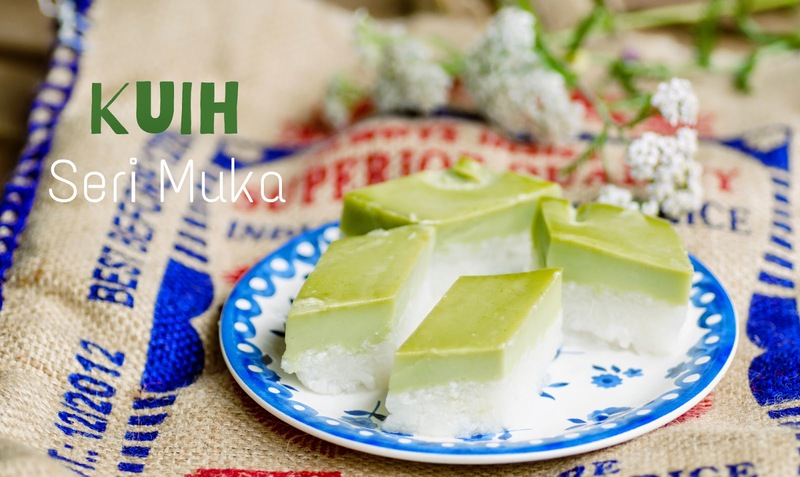 Kuih is a bite size sweet or savory snack which you can find easily in Malaysia. 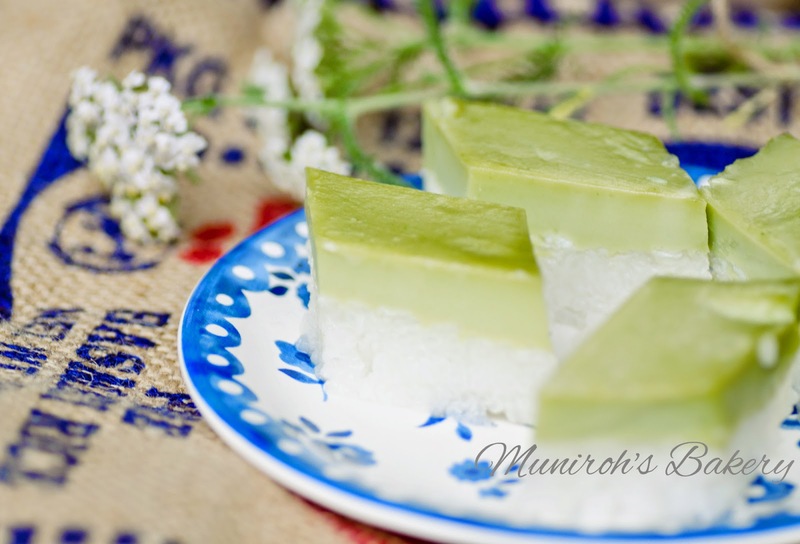 Kuih seri muka (literally means glowing face dessert) is one of my most favorite Malay kuih. The layer of creamy and sweet pandan custard complements the salty glutinous rice. I always make it whenever I'm not in Malaysia when it is impossible to buy one. The first time I made this was in the U.S, and I used imitation pandan flavoring and green food coloring for that. I'm planning to cut down imitation flavoring and coloring in my cooking, and I was happy to find frozen pandan leaves at Toko Idriani (Asian market) in Wageningen. A problem in making this kuih for me is steamer, I don't have one, and I don't feel like buying one as it is rather expensive here (I'm a cheapskate student). So, I decided to use what I have at home - microwave! I've heard my friends cook rice using microwave, so it is possible to do for glutinous rice as well. 1. Blend the pandan and water in 3-4 batches, strain the mixture. 2. Mix the rice, coconut milk solution, salt in a 24 cm springform pan, add pandan leaves on top and cook using microwave power high for 7 minutes, and using 60% power for 10-15 minutes (or until the rice is cooked). *If coconut water mixture drips from the pan, add more coconut water, and do the same if the glutinous rice is still dry and not cooked. 4. Whisk the eggs and sugar until sugar is dissolved. Add in pandan water, coconut cream, water and mix well. 5. Sift in all the flours and whisk till well combined, strain the mixture into a large pot and let rest for 10 minutes. 6. Under medium heat, stir the custard mixture using wooden spatula until just thickens (don't overcook it). 7. Pour mixture over the rice and push the air bubbles to the site. 9. Allow to cool, and cut it into rectangular shape using a knife that has been oiled. p.s: Coconut cream is the concentrated version of coconut milk. If you can't find coconut cream, just use more coconut milk without diluting it with water.